I have described Program Evaluation & Review Technique (PERT), Critical Path Method (CPM) and Standard Deviation in complete detail this post. I have talked about how they are related to each other and how they can be used together. Critical Path is the Longest Path in the Project Network. Critical Path represents the Shortest Possible Duration of the project. Critical Path can be determined by applying Critical Path Method (CPM) on the Project Network. How can Critical Path be “Longest” and “Shortest” at the same time? Refer to the 17 Frequently asked Questions on the Critical Path Method to get answer to this question and some other frequently asked questions”. What is Program Evaluation and Review Technique (PERT)? PERT is a Three-Point Estimation technique. This technique is based on Beta Distribution and uses 3 different duration estimates to arrive at a final estimate. Since, a single-point estimation is more risk-prone, PERT uses 3 different estimates to arrive at a final estimate. PERT reduces the Risks and improves the accuracy of estimation. You can refer to 3-point estimation is different from PERT… to understand nuances of Three Point Estimation and PERT. In Statistics and Probability Theory, Standard Deviation (SD) measures the amount of Variation from Average or Mean. In current context Average or Mean is represented by Weighted Average calculated using PERT formula. A low value of SD indicates that data points are very close to the Mean. On the other hand a high value of SD indicates that data points are spread out over a large range. You can refer to What is Significance of Standard Deviation in PERT formula? to understand how SD can be used to determine the probability of finishing a task within a specified time range. PERT and CPM are singular concepts. In my previous articles on PERT & CPM were treated as singular concepts. However, PERT & CPM can be combined together to improve Project Schedule Management. Let us understand the combination of PERT & CPM by looking at an example. Let us consider a Project Network having 3 activities on the Critical Path – Alpha, Bravo and Charlie. Refer to Figure 1 to understand the relationship between the 3 activities. Refer to Figure 2 to check data values corresponding to the 3 activities shown in figure 1. The Mean in Figure 2 (for each activity) is calculated by using the PERT formula. The Standard Deviation (SD) or σ in Figure 2 (for each activity) is calculated by using the following formula. You would notice that (in Figure 2) there are 4 different Duration of Critical Path. The Optimistic, Pessimistic, Most Likely and Mean Duration of the Critical Path are calculated by adding their respective individual values. Now which of these 4 is the real Critical Path? There could be only one Longest Duration in a Project. CPM (Critical Path Method) is about Longest Path(s). Refer to the following figures – Figure 3 to Figure 5. These figures depict Optimistic, Pessimistic and Most Likely Critical Paths. All the figures are drawn using Time Scaled Schedule Network Diagram. Which of these 3 Paths should be managed by the PM? If we are using PERT then none of the above Schedules describe the real Critical Path. PERT calculations were done to manage Risks. However, none of the above Schedules manages Risk appreciably. Let us draw a 4th figure using Mean of Estimated Values. Refer to Figure 6 – it depicts the real Critical Path. So what is the use of Standard Deviation (σ)? Let us use the Variances along with the Mean Values in order to manage Risks better. We have already calculated σ for all 3 activities – Alpha, Bravo & Charlie. We now have to calculate Critical Path σ. Critical Path σ cannot be calculated by simply adding individual σ. As per the Statistics, individual σ cannot be added together. In order to determine Critical Path σ, we have to first find Variance of the Critical Path. As per the Statistics, σ can be determined by taking Square Root of Variance. Refer again to Figure 2 for all the values. So, in our case, there is a 68.27% likelihood that Project Duration (Critical Path) will come out to be 13±1.37 days. Or, in other words, we can say that there is a 68.27% probability that Project Duration will be between 11.63 days and 14.37 days. Figure 6 shows Critical Path using Mean Duration. Next step. Let us determine the probability of passing the PMP exam…Good luck to all PMP aspirants! I hope you would have understood the relationship between CPM and PERT Formulas. You can leave a comment, if you would like to know anything else on this topic. I have compiled another article that provides a quick reference to all the three point estimation formulas. It contains 8 different formulas and 6 different sigma values. I am lost in the last part of the calculation. Why do we SQRT(sum of variances). We have calculated the STDDev for each activity. So can we not use the sum of these (1.33+0+0.33) to derive Variance.Basically why are we calculating the variance using std deviatn and then going back to finding the std deviatn? Hi, Your Q is mathematical/statistical in nature. 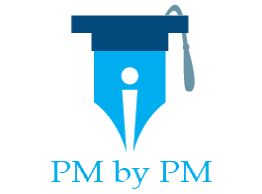 It is beyond the scope of a PM blog. You should read about probability distributions and specifically about beta distribution. Wow, I never thought this had practical application after reading the PMP books. am glad thaqt you just shared this helpful information with us. Please stay us innformed like this. Thnk you for sharing. What is the use of doing all these calculations? Do PMs do it? If the Senior Management or the Client asks for a schedule deadline, then it helps to have a risk optimized schedule. Rather then giving only the (optimistic) deadline you can give a fair deadline with a probability of achieving the deadline. All these calculations can be done by using a scheduling s/w. What about monte carlo analysis? Is it same? No, it is not same. Monte Carlo Analysis accounts for all the paths (including the CPM). It is much more complex. But can say that basic logic for Monte Carlo Algorithm is similar. Hi i wanted to ask one thing. I have an assignment related to network diagrams. I have calculated the standard deviation and variance for each activity. One part of the question is to Identify the most and least sensitive element. How can i identify these? I am confused about this part. Do i have to look at the sensitivity of element in regard to standard deviation? Is the activity with the highest value of S.D most sensitive element? or Am i going in the wrong direction? Hi Sara, I think you are on the right direction. I think, if there is PERT estimation for CP then buffers are not required. Hi Alan, If the estimations are correct and you have chosen you sigma factor well, buffers are not required. Thanks. Nice article. Somehow the PMP books do not cover this topic. Dear Praveen, Great article thanks a lot. I have a quick question: how did you calculate: there is a 68.27% likelihood that Project Duration (Critical Path) ? If not, what did i miss? SD cannot be simply added as explained the article. The formula for SD involves taking square root of sum of variances. I have one doubt that is what if there are 2 critical paths in a network diagram having different variances which indirectly means having different standard deviation, how shall we proceed further?? Hi Gaurav, You would calculate the SD the same way. The mean length of all the critical paths in a network diagram will be same but SD may be different.